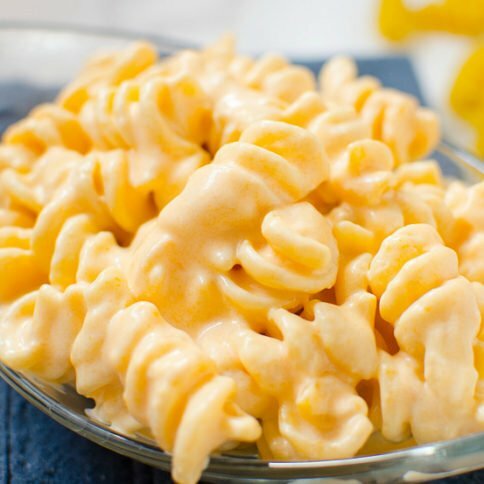 A healthier version of your favorite take-out dish that the kids will LOVE. I’ve ordered sesame chicken many times from our local Chinese restaurant, but I never dreamed it would be THIS EASY to create myself. I love that I have control of what goes into my favorite take-out treat, so I don’t feel bad going back for seconds. 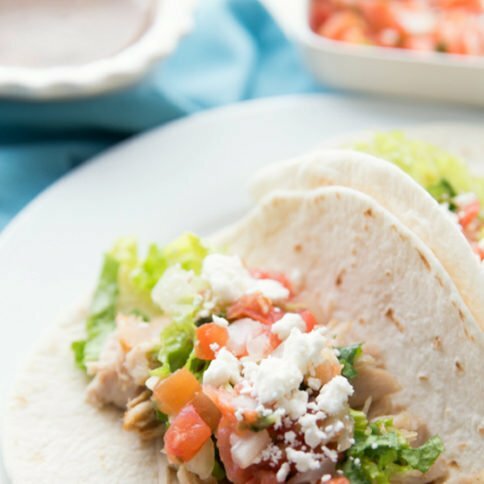 Not only is this version healthier and cheaper than take-out, the kids LOVED it too! 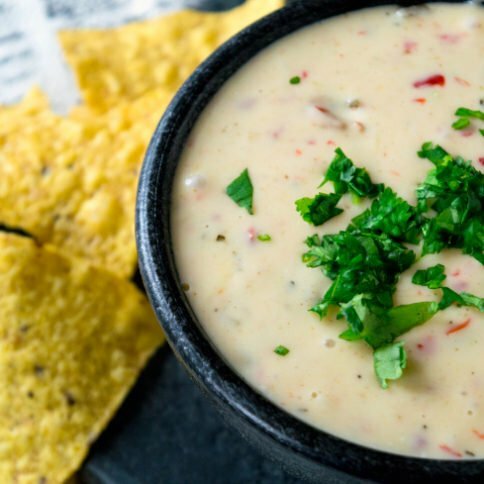 Does a recipe get much better? I think not! 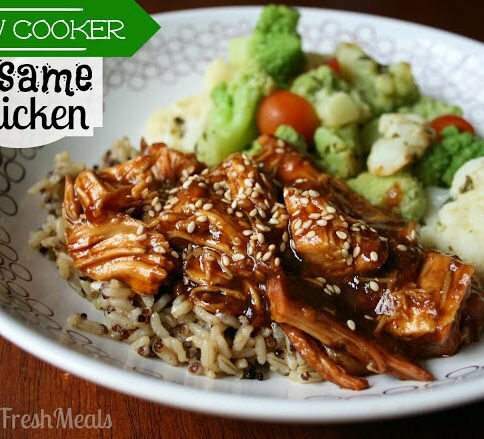 Hope you enjoy this Sweet Slow Cooker Sesame Chicken recipe! 1. Start by seasoning chicken lightly with salt and pepper and place into crock pot. 2. In a bowl, combine honey, soy sauce, onion, ketchup, oil, garlic and pepper flakes. 4. Cook on LOW for 4 hours or on HIGH 2 hours, or just until chicken is cooked through. 5. Remove chicken from crock pot with a slotted spoon, leaving sauce behind. 6. Dissolve 2 teaspoons of cornstarch in 3 tablespoons of water and pour into crock pot. Stir to combine with sauce. Replace lid and cook sauce on HIGH for ten more minutes until the sauce has thickened. 7. Shred chicken with two forks and then return to pot and toss with sauce before serving. 8. Sprinkle with sesame seeds and serve over rice, quinoa, noodles or MY favorite, spinach! Have a picky eat at home? Give this trick a try! I let the girls sprinkle the sesame seeds on their own servings. I called them sprinkles…..which they thought was the coolest and made them want to try the new food even MORE! A healthier version of your favorite take-out dish that the kids will LOVE. 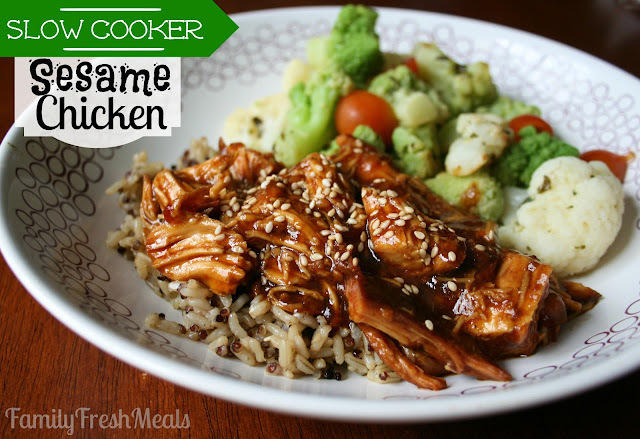 This Sweet Slow Cooker Sesame Chicken Recipe will be an instant family favorite! 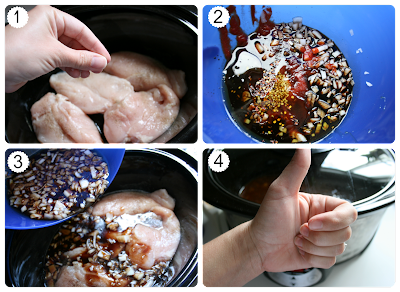 Start by seasoning chicken lightly with salt and pepper and place into crock pot. or just until chicken is cooked through. Remove chicken from crock pot with a slotted spoon, leaving sauce behind. Dissolve 2 teaspoons of cornstarch in 3 tablespoons of water and pour into crock pot. 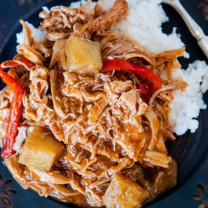 Shred chicken with two forks and then return to pot and toss with sauce before serving. Sprinkle with sesame seeds and serve over rice, quinoa, noodles or MY favorite, spinach! This came out great and so delicious.I have a family member who watches his salt so I used less soy sauce but added extra white vinegar to compensate.Will be making this again in the future.Thank you for posting this recipe. You don’t state how many servings the recipe makes. Also if I need to double the recipe do I need to increase the cooking time? Making it now….I will let you know how it turns out! I made the sesame chicken last night for dinner and it was a hit. Loved it! Thanks. This looks amazing! 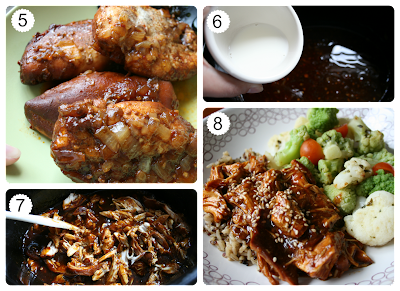 My husband LOVES sesame chicken…I’ve never thought about making it myself! It’s officially on my list! Yes, looks like they did a Sesame Chicken too. If you read the blog post, I got this recipe from Baby Center 🙂 It’s fun to see all the variations of great recipes like this. AMAZING. So good. My 9 m. old had pieces of the shredded chicken before we put it back in the sauce. Yey! I served it with rice and broccoli. Loved it. This is my favorite take out dish ! I just finished putting it all together….. 4 hours and we shall see if golden dragon loses my business. The smell of your sesame chicken is making everyone hungry. Can I cut up the chicken prior to putting it in the slow cooker? Do I have to shred it or can I put it back in whole and just cut when it comes out? I have wanted to make this and today is the day. I love this as a take out. Instead of olive oil and I am going to use coconut oil. Also, instead of shredding the chicken is it okay to just cut it in pieces? Thanks. Made this tonight…my husband complimented dinner at least 10 times! haha My daughter liked it too but said it was a bit sweet. I really liked it too and being that it’s so easy to make is a huge plus! 😉 I served over brown rice with steamed broccoli. Will defn make again! Thanks for the recipe!! 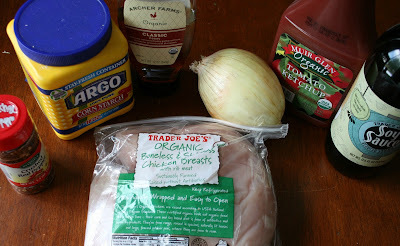 Oh, and I used chicken thighs as I do with most slow cooker chicken dishes as it doesn’t dry out. Delish! 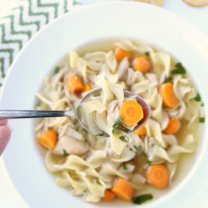 Has anyone made this recipe with a rotisserie chicken from the grocery store? If so, how did it turn out? i Always Buy The Bags Of Frozen Chicken Breasts, Do You Think Those Would Work Or Should I Thaw First? I made this the recipe this weekend and it was delicious and easy!! Love that!! It was perfect because we were painting my youngest son’s room all day and when we walked out…dinner was done! Thanks for sharing! Could I use arrowroot instead of cornstarch in the recipe? I’ve made this before and it was yummy! SO dry. Not sure why it should cook so long. The chicken developed on one side a thick armadillo type skin and even the thick sauce tasted burned. Sorry! Really was looking forward to an authentic unburned meal as the maiden recipe on my new crockpot. Sorry about that Susan. Some crockpots do run hotter than others. That might have been the case here. Best thing to EVER come out of my crockpot! Any idea of the calorie count? 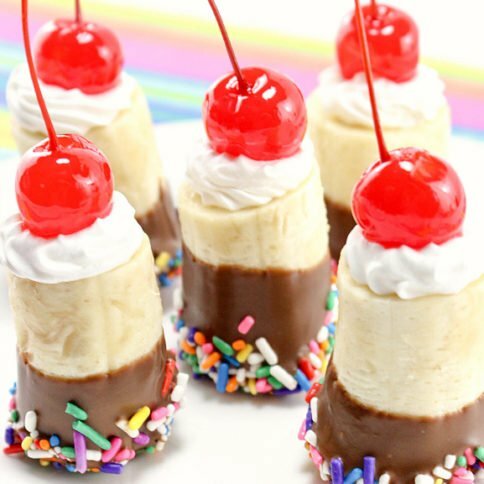 This is so easy to make and tastes so delish! It takes me forever to cook so this was a breeze. My lil helper and I had a miscommunication about how much soy sauce so I had to add a little bit more starch lol but it was still delish! Thank you! I have a 15 lb bottle of honey my grandmother gave me, I was so excited to be able to put some of it to good use! We like dark meat so I used thighs instead of breasts. I also had some sesame oil so I used that instead of the olive oil. I let the chicken marinade in the sauce all night before turning the crock pot on and then added some frozen broccoli to it while cooking and served it over sticky rice. Turned out lovely! I will make it again for sure. 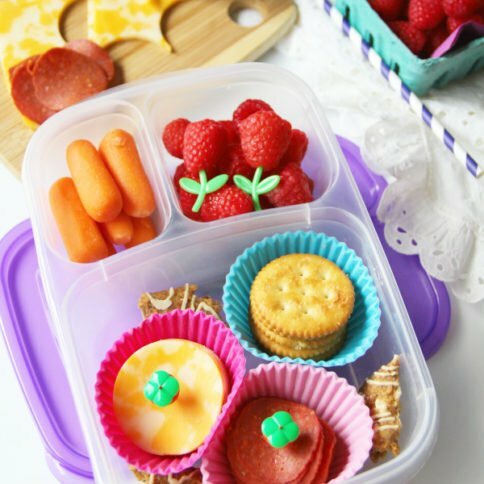 Hi, these look delicious but for a working mom who leaves the house at 7:30am, how do I ony cook on low for 4 hrs? Can I leave the cockpot sit out on a timer? Is this safe for the chicen? I know! I have the same problem with Crock Pots – I’m usually gone from the house for about 8 hours and the cooking times are always shorter than that :(. I know some have timers, but it’s never safe to leave uncooked meat sitting out at room temperature for a few hours, so I’m not sure what to do! I was just thinking about this last night! My crockpot has a timer in the sense that you can set it to start cooking and turn itself off in 4 hours (or 5 hours, or whatever), but it does NOT have a setting that it will start cooking in 2 hours, so that the food is just finishing when I get home. So, what I considered is that I could start the cooking when I leave and set the timer to turn off after 4-5 hours (whatever the time is). At least then it would just be a matter of heating the food up when I get home. It seems preferable to having uncooked meat sitting at room temperature for hours, anyways. 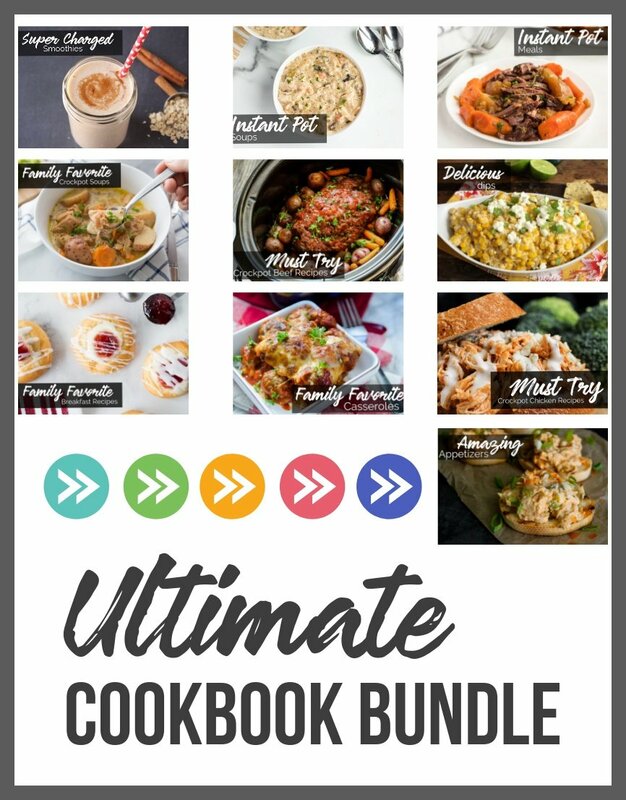 It might not work with all recipes, but then again I feel like most crock pot foods reheat really well. Corey – can you weigh in on this? Thanks! How long will it be sitting out after cooking? Use frozen chicken and mix sauce the night before in ice cubes…throw the frozen chicken with the cubes in before leaving for work, and set it to start cooking in 2 or 3 hours. It will stay cold enough for that time, and will be done when you get home. My crockpot only has four settings – 4-6 HIGH or 8 – 10 LOW. I don’t have one with a timer to shut of automatically after a certain time. What setting do you suggest that won’t dry it out? I work from home so I can turn it off? Should I put it on 4 HIGH but turn it off after 2 hours? 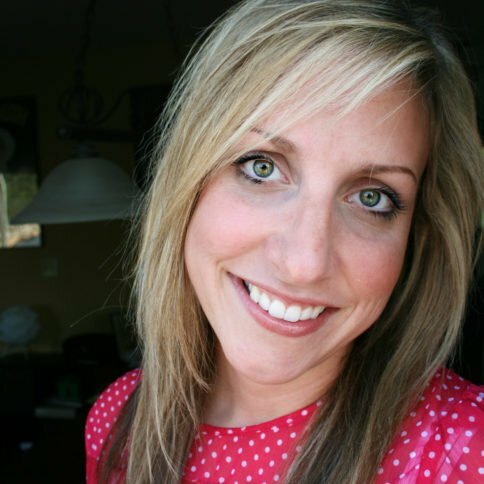 Go out and buy one of the timers that you would use on your lights when you are on vacation…. Mine cost $5 from home depot. I made this tonight and it was really good. I used frozen breast and did not thaw them first. Turned out great. Thanks for sharing that tip Karen 🙂 I am so happy you love it! What did I do wrong? The sauce did not thicken. I didn’t have cornstarch, so I used flour? Is that why? I am guessing that is the problem. I have only used cornstarch. I had to add an extra spoon full of cornstarch, I think it might be an altitude thing? I’m down along the coast… just a thought! Wonderful recipe. This was so delicious! I had it with whole grain brown rice and broccoli! I just asked my 13-year-old to sample the sauce I poured on top of the chicken. He sat down with the bowl and a spoon and scraped as much as he could off the sides of the bowl. I have a feeling this will be a keeper. 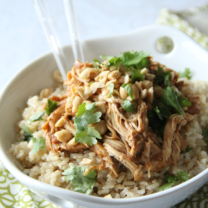 I just tried this recipe, and it was my first crockpot recipe ever! I was really exited! Everything went so good, looked and smelled delicious for the 4 hours it cooked! But sadly it tasted really bad, so sweet… Texture was super fine! Just too much flavor of…. I don’t know, everything. Really disapointed. Hi Corey! 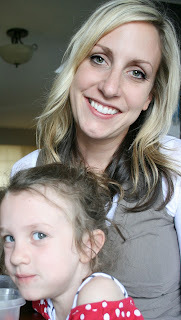 This may be a silly question- I am a picky eater and I am trying to get better! I would love to try this recipe but I am wondering is there anything I can use in place of Ketchup????? How do you feel about tomato paste or tomato sauce? I love the bok choy idea!! I had a bok choy grilling kick this summer and my family loves it! Hmm..Great recipe flavor wise but my sauce never thickened and I can’t figure out why. I used 3 pretty big chicken breasts but they looked about the same at the bottom of the crock pot as yours. I did leave out the onions but I can’t imagine that causing a problem, any ideas? I did use cornstarch. Did you shred the chicken after it was done? Hmm..it was shredded for sure but trying to remember when I did it. I’m going to make it again today i’ll see if that was part of it. This is lovely! I did a couple things different, though. I used white pepper, added a bit of chinese white vinegar, and doubled the red pepper flakes. It made it taste a bit more like takeaway 🙂 Thanks for the recipe! Thank you so much for this! I am in college living on campus so easy meals are the best! I cook this at least once a week now! THANK YOU THANK YOU! Awesome Kelcee!! Thank you for your sweet comment! Made this today and it turned out very good. I made a couple of changes as I didn’t have catsup so used some of my homemade spaghetti sauce, used some dried onions, garlic powder and reduced the soy sauce. Cooked it on very low in my slow cooker, the chicken was juicy and it turned out very good. Definitely will be making again, might even add some water chestnuts next time! Sauce did not get really thick but was thick enough. I tried this tonight it was very good, I didn’t have any honey and as honey is very expensive here in peru. I used sugar water which tasted good too, one idea, has anyone tried to add ginger to it……..to see how it tastes? I was eating it is sweet enough, spicy enough, but I thought a touch of grated ginger would bring out the flavor of it. Hi, I am in the middle of making this dish and I was wondering if I can cook it longer, I didn’t realize how early it was when I started it but would it be okay after cooking it on low for 4 hours if I change the setting to warm and keep it in for a few extra hours or do you think it will be overcooked? Hello. I have a question. Can I replace honey for something else? Thanks! Love this recipe! I used only 1/4 honey and some brown sugar since I was short on honey and it was still amazing. Will definitely make again! This was good!! My husband made it Sunday morning while we were at church. We actually used breasts with rib meat, since it was MUCH cheaper this week at the grocery. The meat easily cut off the bone, and my family loved it. The whole house smelled delicious, too 🙂 We will be making this again. I made this tonight, it was quite flavorfull..however I think it was too much sauce. The sauce didn’t thicken much more when I added the corn starch. Aside from that, this was a great dish. I put my crockpot up on high for 2 hours and the chicken was not dry at all it was actually pretty juciy! Thanks for the recipe! I just made this recipe, and it’s great! The sauce didn’t thicken when I added the cornstarch, but it was still delicious. I’ve tried a lot of honey/soy sauce-based recipes that were meh, but this one was really good! Made this tonight for my hubby who is recovering from clavicle surgery. I used local florida orange blossom honey and geated ginger and it came out amazing!!!! I served it with steamed broccoli on a bed of sticky rice to give it that more take out feel. 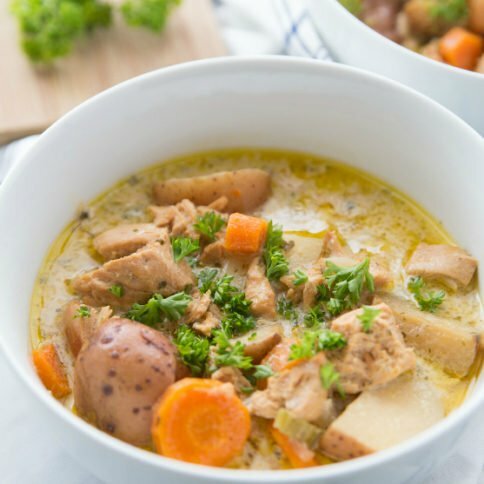 I have shared this recipe with family and is sure to be on repeat in my home!!!! This turned out really good. I have some pices on my Google+ page. Thanks Corey! Can I make this without ketchup? Emily, I have only made this as the recipe states. Have anyone else used a ketchup alternative? Maybe you could try tomato paste 🙂 Hope that helps! I made this tonight and it was a huge hit, thanks!! I must admit, I am cursing you right now, LOL! I wanted something new to make in my Wonderbag this weekend, so googled crock-pot recipes. Yours was one that came up. I have never had this before and it sounded nice, so I tried it tonight. The smell coming from my kitchen is making my tummy rumble!! I cannot wait to see how it turns out. Oh. My. Word!!! I have nothing to compare it too, because as I said, I haven’t had it before, but it was amazing!! My hubby said that he will be expecting it on a regular basis now, LOL! I did add some ginger, just because I love it, and a fresh chilli. Yum, Yum, YUM!!! The final test comes tomorrow though, when I take my elderly dad, a retired chef, his helping! By the way, the Wonderbag is simply amazing! Can this sauce be frozen, I make lots of freezer packs I would love to make batches and freeze. Hey Derina. I am trying to freeze some as well but can’t info on that, and see she didn’t reply to you. Did you figure it out? If so, can you please share what you did? This was delicious just over rice. I live alone so I had plenty of leftovers and ate it a few days after also. With the final batch, I made a packet of lipton soup secretes noodle soup with four cups of water and the rest of the chicken and about a 1/4 cup of juices if that. It turned out great by just bringing it all to a boil and simmering for about 5 minutes. Now I have another 2 meals instead of one! Can you put broccoli in the slow cooker with the chicken and everything else?